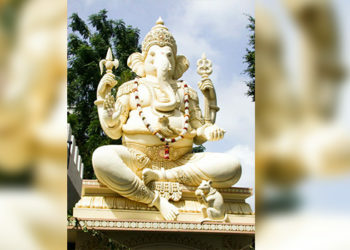 Maha Shivratri is amongst one of the most anticipated and awaited Hindu festivals. 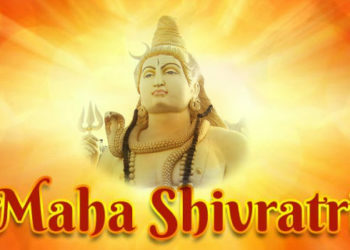 It is celebrated with great reverence and enthusiasm in honour of Lord Shiva. Stories pertaining to the reason why Maha Shivratri is celebrated along with traditions and customs associated with it make for a truly informative and interesting read! Although Maha Shivratri is celebrated all night along, the night of Maha Shivratri is considered as one of the darkest nights of the year. 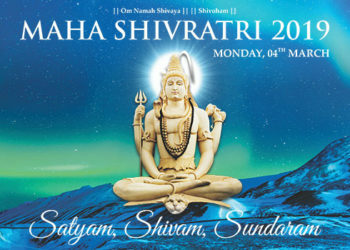 Maha Shivratri marks the Union of Shiva and Shakti ‑ two powerful forces of the universe. It is believed that Lord Shiva married Goddess Parvati on Maha Shivratri. Incidentally, Lord Shiva is considered to be the perfect, ideal husband. Hence, young girls fast and pray on Maha Shivratri so that they may get a husband like Him, while married women pray for marital happiness. It is also said that on this night, Lord Shiva performed the Tandava Nritya or the dance of primordial creation, preservation and destruction. According to another belief, the absolute formless God, Sadashiv, appeared in the form of Lingodbhav Moorti at midnight on Maha Shivratri. Therefore, all devotees keep vigil at night. They observe a Jaagran and sing songs and hymns in praise of Lord Shiva. Related to Mahashivratri is also the story of how Lord Shiva came to be known as Neelkanth. 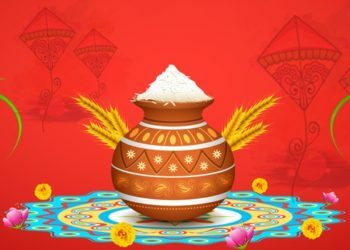 According to Hindu mythology, the pot of poison that emerged during ‘Samudra Manthan’ was poisonous enough to destroy the entire world. Lord Shiva swallowed the deadly poison to save the world because of which his throat turned blue and he came to be known as ‘Neelkanth’. 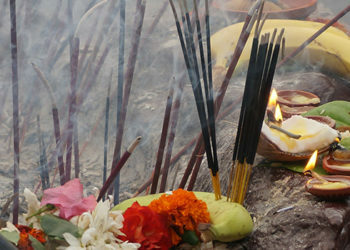 People celebrate the night of Maha Shivratri to show their gratitude to Lord Shiva for protecting the world. Another legend narrates the story of a hunter who climbed a Bel tree to escape a hungry lion. As the frightened hunter waited upon the tree, he started to pluck leaves of the tree to stay awake. The leaves fell on the Shiva Linga, which was on the base of the tree. Lord Shiva was very pleased with the offering as Bilva leaves are holy for him and so saved him. Thus, to commemorate this incident, devotees stay awake all night. Lord Shiva is considered to be the destroyer of ego, and because of His kindness, He clears past negatives karmas that hinder the evolution of souls and prevent us from reaching our full potential. Maha Shivratri provides His believers an opportunity to transform and awaken to who we truly are. It is believed that a person who prays to Lord Shiva with utmost devotion on Maha Shivratri attains salvation! Devotees also keep a fast all day and night, and break their fast only the next morning. It is believed that Maha Shivratri can help them obtain control over Rajas Guna (excess passion) and Tamas Guna (ignorance). Many devotees drink “thandai’ as prasad on Maha Shivratri since it is believed that Lord Shiva was particularly fond of “thandai’. Intriguing facts, aren’t they? At the Shivoham Shiva Temple, we celebrate this festival as a day of gratitude and prayers so that Lord Shiva may grace His devotees and help them realise the truth of Shivoham and the ultimate goal of life – Moksh!